Are they ready for adoption? Feral cat survey – or setup? Cats and wildlife need you to complete this survey. 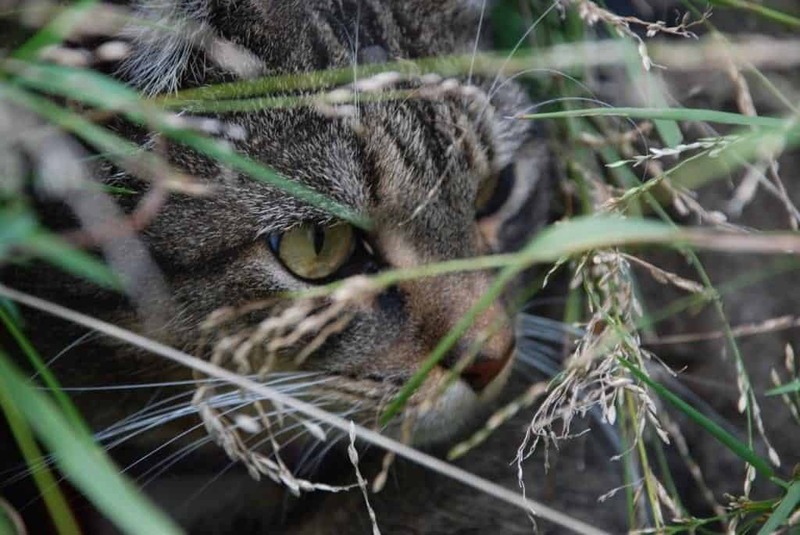 The Commonwealth government’s National Feral Cat Management Survey is open. It is for wild cats, not urban strays. The survey has been heavily promoted on the Threatened Species Commissioner’s Facebook page. If you have ever seen a cat-related post on that page, and read the comments, you’ll know the sort of feedback the survey is likely to receive. We encourage people to provide feedback from a different, more scientific, viewpoint. In the absence of representative survey feedback, the government and other anti-cat organisations will use the survey results to further demonise and scapegoat cats. The official closing date is 11:59pm Wednesday 22 August. Researchers will receive feedback until 5pm Friday 24 August. an anecdotal increase in cruelty towards all types of cats, including companion and strays. Vilifying cats, under the guise of helping wildlife, has become a national past time. This doesn’t help threatened species. If you wish, preview the survey questions now. There is only one section where you can provide free-form feedback. All other sections are pre-formatted. If you care about cats, wildlife and their effective and humane management, here are some things you could say. Please write in your own words. Choose what’s most important to you. Please be professional and polite. Tasmanian research on feral cats (Lazenby et al 2014), and research on many other species of carnivores around the world, indicates that low level killing increases, not decreases, their numbers. View journal article. stated that cat-proof fences and increasing the number of hiding places (such as log piles) for small prey may be more effective in helping wildlife than killing cats. The program’s focus seems to solely be on killing cats. Conservationists and biologists advocate that reducing cats’ impact on threatened species is the most important factor, not killing. With a sole focus on killing cats, reducing the impact of cats on wildlife has been ignored. The government’s Australian National Audit Office reviewed the Threatened Species Prospectus. The Prospectus encourages NGOs, private philanthropists and bodies other than the Commonwealth government to assist threatened species. Having a basic goal of killing cats does not constitute management. The preservation and recreation of habitat is critical in protecting threatened species. The program does not include this. The TSC’s failure to adequately moderate the page is unprofessional and a breach of the government’s standards with respect to social media. Given the failure to address habitat loss and degradation, fire regimes and climate change, who will the government blame when the ‘kill all cats’ program is a failure, when threatened species’ populations are still in decline and when more species have become extinct? Complete your survey preferably by 11:59pm Wednesday 22 August. If not by then, submit by 5pm Friday 24 August. Copyright © 2019 www.scaredycats.com.au. All rights reserved.